Plan your next conference or reception in our Half Ballroom. With 1,465 square feet, this room can hold up to 100 guests and is able to accommodate a variety of setups. 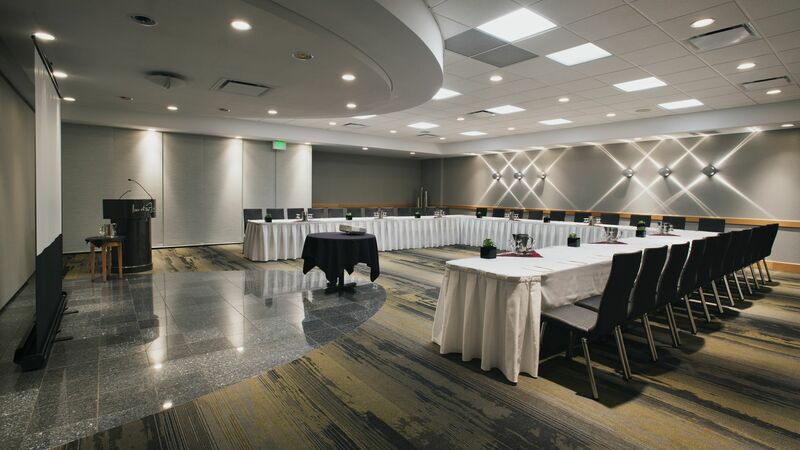 This newly renovated ballroom also features dedicated internet bandwidth, stylish high-back ergonomic chairs, in-room temperature control, access to a large foyer with natural light, access to a covered outdoor terrace, a built-in sound system, and a complimentary podium and microphone.